How Effective is Prayer as a Tornado Survival Tactic? Take that, liberal heathen! She’s not “supposed” to pray in a school but she did it anyway! And that’s why she’s alive today! 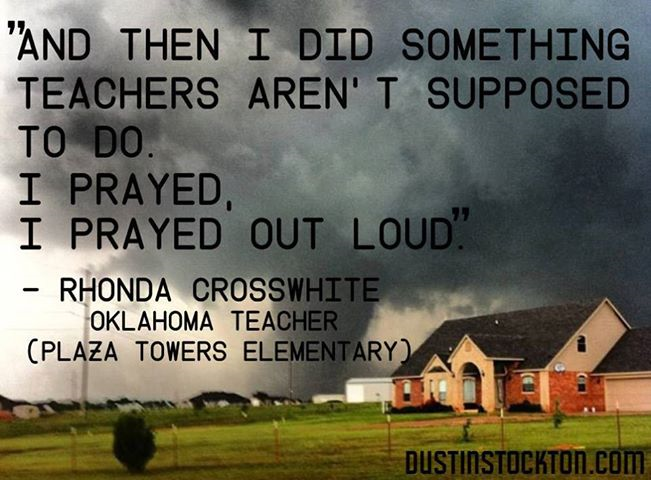 It would be useful to know for the purpose of assessing the value of prayer as a tornado survival tactic, how many of the 24 people who didn’t survive the Oklahoma tornado were praying at the moment of their death.